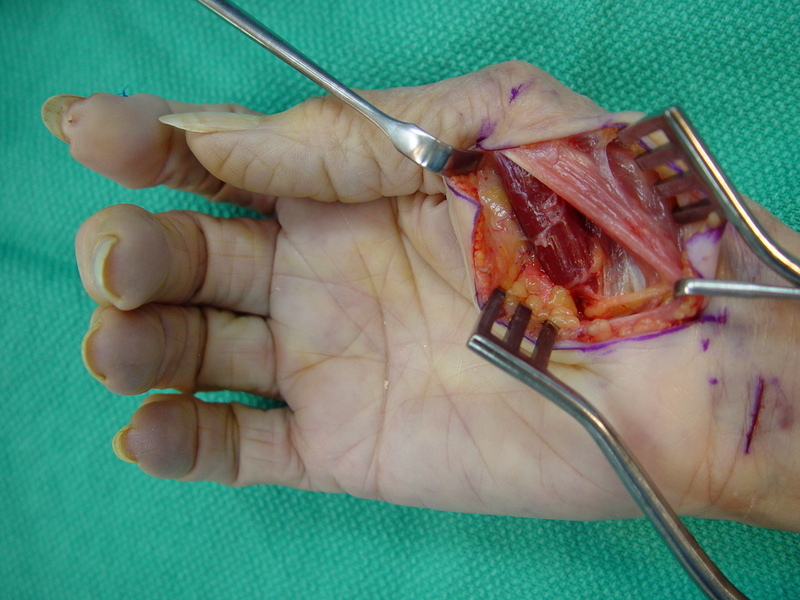 There are several time honored procedures for restoration of thumb abduction in median nerve palsy, including transfer of the palmaris longus, superficial flexor, extensor indicis, extensor digiti minimi, and others. 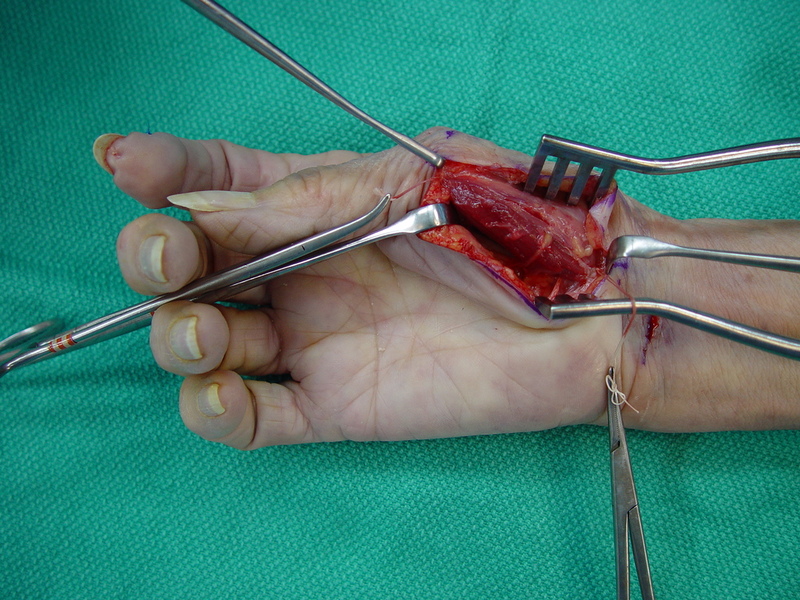 This is a description of a new procedure, a bipolar transfer of the superficial head of the flexor pollicis brevis to the origin and insertion points of the the abductor pollicis brevis muscle. 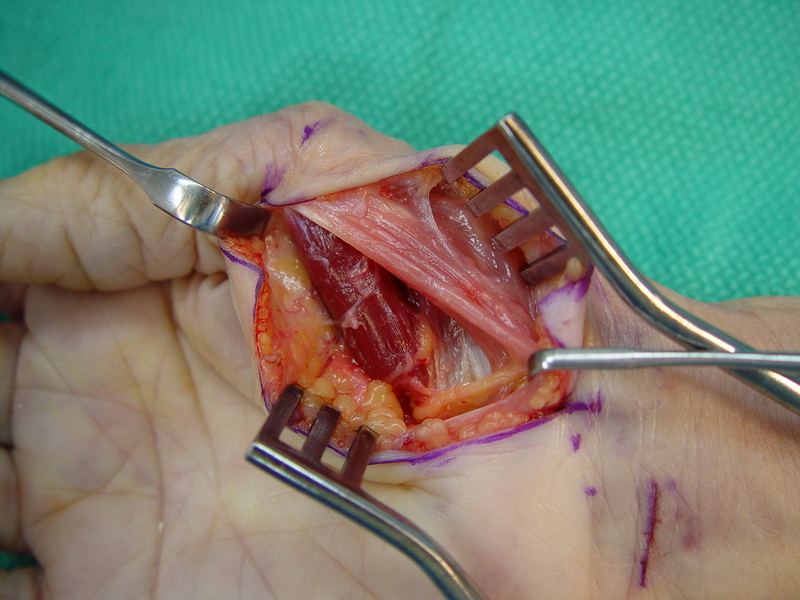 The superficial head of the short thumb flexor, with ulnar nerve innervation, provides thumb opposition in nearly half of patients with low median nerve palsy. 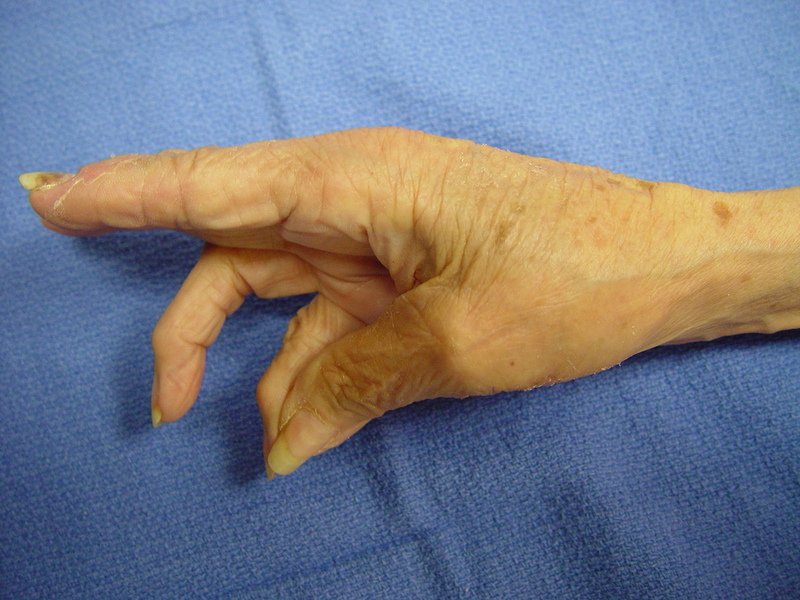 In a smaller percentage of patients with low median nerve palsy, the short flexor maintains strength but does not provide opposition. 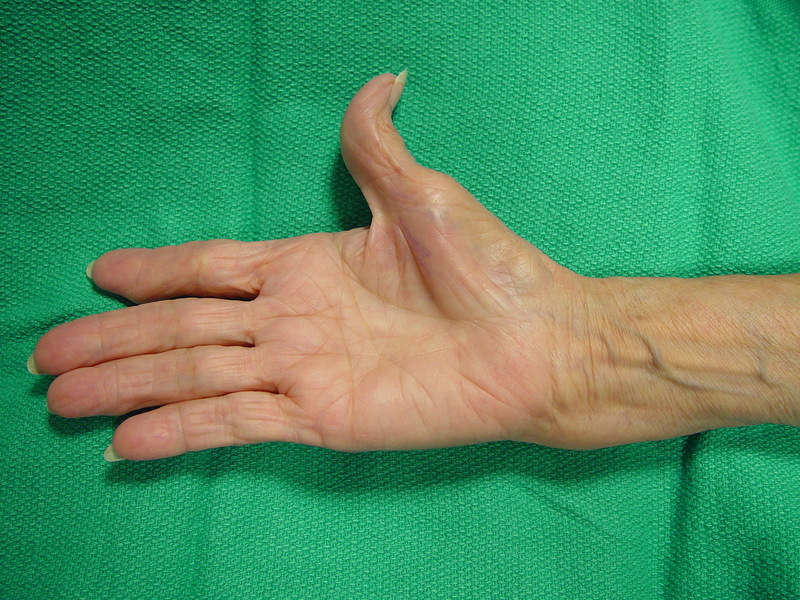 In this group of patients, flexor to abductor transfer may be a satisfactory alternative, not requiring wrist immobilization and not dependent upon tenodesis. 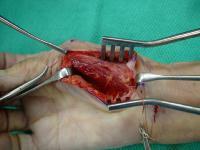 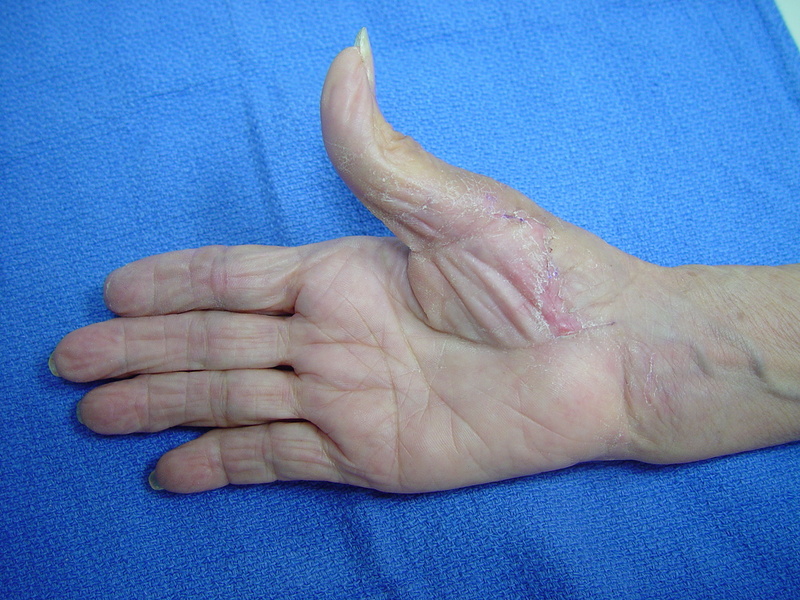 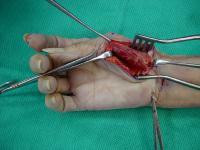 Severe carpal tunnel syndrome with complete thenar atrophy of several years duration. The flexor pollicis brevis muscle was strong, but provided only weak abduction. 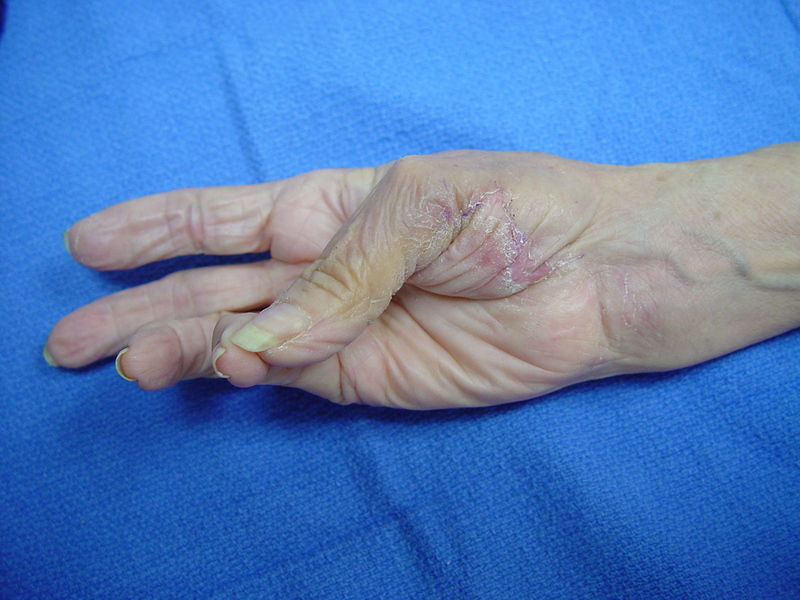 Pale, atrophic, chronically denervated pale abductor pollicis brevis lies superficial to the superficial head of the flexor pollicis brevis. The origin and insertion of the superficial component of the flexor pollicis brevis were transferred to the sites of origin and insertion of the abductor pollicis brevis. 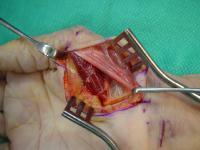 One month postop, after being immobilized in a hand based thumb spica splint, the transfer activates well.